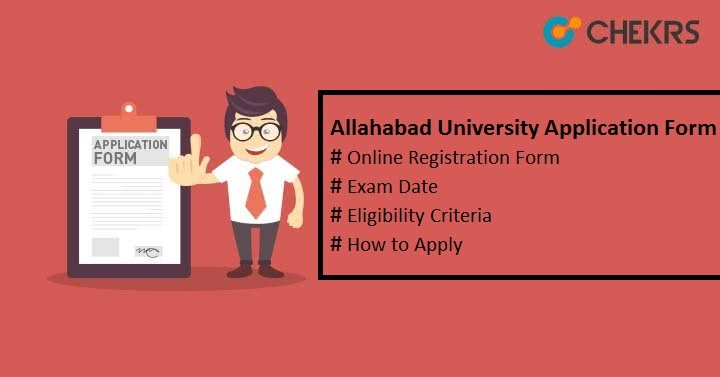 Allahabad University Application Form 2019: Candidates who are aiming to take admission in University of Allahabad (UoA) for MBA or Law courses can apply for Allahabad University Entrance Registration Form. The University officials will issue the notification for the application form in the month of April. All interested and eligible candidates can apply for this. Here we have provided the complete information related to Allahabad University Admission Form, exam date, eligibility criteria etc. Candidates can check the tentative Allahabad University Entrance Exam Date here. We will update it later, after the release of official date. Candidates who are going to appear for Allahabad University entrance exam need to satisfy all the Eligibility Criteria mentioned here. Applicants must have bachelor’s degree from a recognized Institution/ University from any stream. Students appearing in the final year examination can also apply, but they have to clear the exam and will have to produce the result on specified date. Students must have passed the class 12 examination from any recognized central board or state board. The minimum academic criteria should be 45% for general category candidates, for OBC 42% and for SC/ST, it will be 40% in class 12 or any qualifying examination. Application Fee Rs. 1500/- for General/ OBC candidates & Rs.750 for SC/ ST / PH candidates. Candidates can check the given below steps to fill the UoA Online Application Form 2019. Click on “Admission Test 2019” tab available on the right top of the home page. Select your programme for which you want to apply. Read thoroughly the instruction and proceed to fill the application form by clicking on “Apply Online” button. Enter the required candidate’s details like name, date of birth, email ID, mobile number and submit it. Once registration is done successfully, you will get application no & password on the registered mail id or mobile no. Go to the Login option. Enter the username and password and then click on “Log In” button. Enter your personal details like parent’s details, address, contact no, academic qualification etc. and move to next step. Click on the “Upload Image” button. Select the scanned image of recent photograph & signature and upload as per given specification. After this, proceed to the next step. Proceeding to the payment page, click on “Pay Online”. It will connect you to the HDFC gateway for payment. Select the option (credit card/ debit card/ net banking) to pay the examination fee. After submitting the form successfully, take the print out of it for future use. Even if you have any doubts regarding Allahabad University 2019 Application Form, you can leave your message in the given below comment box. We will respond soon with relevant answer. Till then visit this site to get latest updates.